Amsterdam Acrylic Markers let you work quickly and directly on a variety of surfaces. 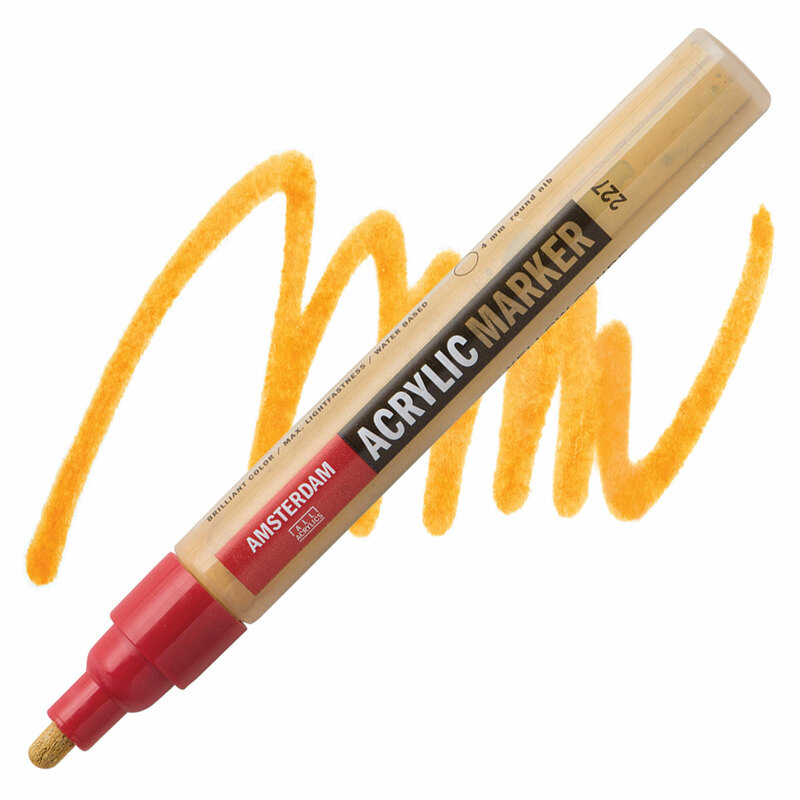 The line features opaque, semi-opaque, transparent, semi-transparent, and metallic colors, all of which are waterbased, quick-drying, and intermixable with other Amsterdam acrylic paints. ® Amsterdam is a registered trademark of Royal Talens.